Do you need a Taxi Service in El Cajon, Santee, La Mesa, Lemon Grove or the East County area? 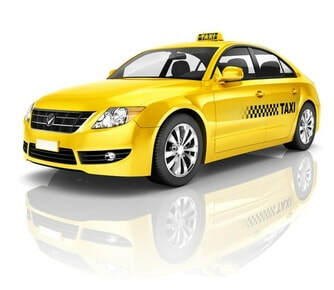 El Cajon Taxi Cab Service is committed to providing you with a truly unique and extravagant taxi service. Our El Cajon cab service is a local company dedicated to the public. Whether you're going to the airport, or simply need a ride home, give us a call and we will be sure to get you to your destination with one of our trusted and licensed cab drivers. When you need a taxi in El Cajon, call us to get your cab service today! We will provide you with an immediate El Cajon cab to your location to pick you up and cater your needs providing you with a great taxi service. Also inquire about our taxi El Cajon, or you can also ask about our airport, casino, and vacation cab services. Going downtown or somewhere in San Diego where you'll need a quick taxi service in El Cajon? We will immediately pick you up at your location and take you quickly to your destination. If you need a pick up, that's fine too. We service the entire San Diego community right out of El Cajon. Our drivers are fully licensed and our cab service in El Cajon is being updated every year so that you have a better experience with us. That is our #1 priority and concern here at El Cajon Taxi Cab Service. Because when you're happy, we're happy! Being a cab service to the entire East County area, we offer La Mesa taxi, taxi in El Cajon, Lemon Grove taxi, Santee taxi and and even taxi services in Lakeside. When you need a reliable taxi cab service anywhere in San Diego, give us a call and we will be sure to come to your rescue. Our cab service is guaranteed to treat you with respect and timeliness, as we hope you will want to continually use our service! El Cajon Taxi Service will pick you up from any destination in the East County, San Diego area so that you will have a ride immediately available when you need it most. Call us for instant service and access to one of our taxis. Thank you for taking the time to look into El Cajon Taxi Cab Service, we hope you enjoy the ride and tell your friends, because whenever you need a taxi in El Cajon, we are here for you!